Marlan James Gary, Licensed Funeral Director and Embalmer, was born was born on July 13, 1969 and raised in Warren, Ohio by his mother Deborah Gary Britton. 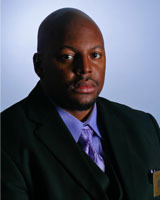 He is a 1987 graduate of Warren Western Reserve High School where he was in the Marching, Symphonic and Jazz Bands. After graduation Marlan enlisted in the Ohio Army National Guard. Upon completing Basic Training and Advanced Technical Training he moved to Middletown, Ohio where he was given the opportunity to work for Hall & Jordan Funeral Homes servicing Cincinnati, Hamilton and Middletown, Ohio. While working at the funeral home he attended Miami University and graduated from the Cincinnati College of Mortuary Science. In 1992 Marlan moved to Columbus, Ohio to work with his uncle in opening a funeral home on Main Street in historical Bexley. He joined the Triedstone Baptist Church where he served as a Trustee and ordained as a Deacon in 1996. He serves as an Armor Bearer to Bishop Jerome Ross. 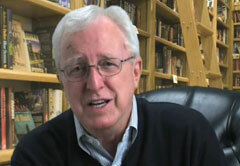 He is a former member and VP of public relations for the Trilogrogan Toastmasters Club. In the year 2000, Marlan began managing the day to day operations of the funeral home on Main Street including but not limited to meeting with all the families, preparing the deceased for viewing, accounts receivables, and staff coordinator. In April 2005, GOD closed one door & opened another door for Marlan Gary to partner with the Porter Qualls & Gary Funeral Home. In 2008 he became a member of the Greater Linden Business Newtork. Marlan loves and serves GOD, his church, and families suffering the loss of a loved one. He builds this business, ministry and reputation on Service. Marlan is married to the former D’Andrea Cordell and father to David & Kennedy Gary. 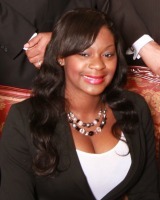 Fralisia Camille Jefferson, Licensed Funeral Director and Embalmer. Rebecca Alli, Licensed Funeral Director and Embalmer, is a native of New Haven, Conn. and has lived in the Columbus area for over five years. She is a graduate of Youngstown State University and recieved her mortuary training from Mid American College of Mortuary Science. Rebecca lends her support whenever possible. William Marshall I, was born on July 31, 1952 in Columbus, Ohio. 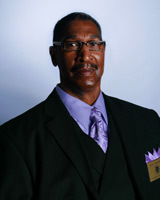 He is a 1971 graduate of Linden McKinley High School where he played basketball, football and baseball. Billy is a Veteran of the United States Navy. A member of Triedstone Baptist Church, he has one daughter and three sons. He is also employed by Columbus City Schools. Billy is one of the Lead Funeral Attendants. He shows compassion and caters to each family served at the Chapel of Peace. James E. Qualls III, a Columbus native and product of Mifflin High School class of 1980. 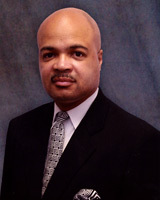 He attended Franklin University and graduated from Cincinnati College of Mortuary Science. Former member of the Second Baptist Church and currently a member of First Church of God. Jimmy is the proud father of two children. He is the former owner of Porter-Qualls Funeral Homes, in Springfield and Xenia, Ohio and former Porter Qualls & Gary funeral Home, now the Chapel of Peace. 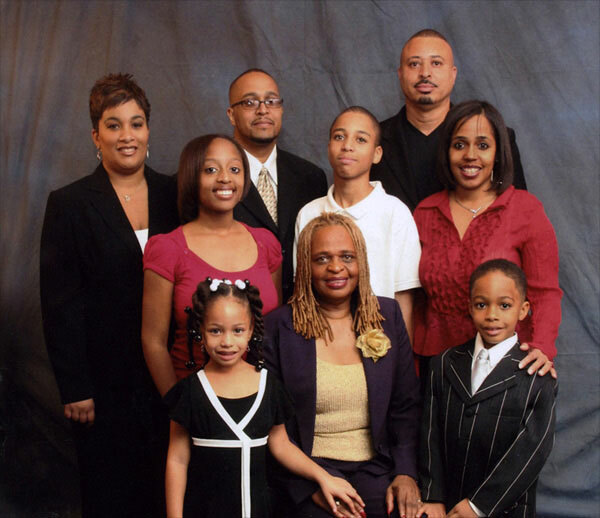 Elder Joe L. Moorehead Jr. a native of Columbus, Ohio is well known throughout the Central Ohio area as a noted recording artist, and gospel preacher. However, in addition Joe is a high-energy professional with over 28 years’ of management experience in the healthcare industry including over 10 years in Long term care, contract negotiations, training and large group and one-on-one presentations. Joe has extensive knowledge of all Insurance products to include Medicare, Medicaid, HMO, and PPO products. He has worked extensively with Home Health, and Hospice agencies and understands all aspects of caring for the elderly. 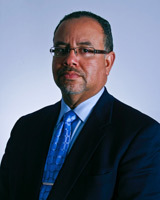 Joe is a licensed Insurance agent with the State of Ohio and attended Columbus State Community College. He is an Ordained Minister in the Higher Ground Always Abounding Assemblies where Bishop Sherman S. Watkins, is Founder and Bishop T.D. Jakes is Vice Bishop. Joe is the Assistant Worship Leader and lives by the song that says If I can help somebody as a pass along then my living shall not be in vain. He serves at the Chapel of Peace as Preneed Life Insurance Agent. 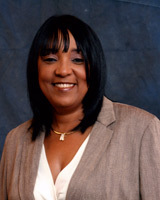 Darlene Matthews, Cosmetologist. Is a lifelong Linden Area resident. 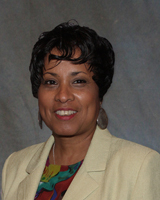 She attended Linden McKinley High School and is a charter member of Faith Ministries Interdenominational Church. She is a single parent of one daughter, Terina Matthews who currently resides in Louisville, KY. Darlene has been a licensed stylist for 24 years and is the owner/operator of Beauty All Over, located at 2553 Cleveland Ave. She has a passion for mentoring young teenage girls. Darlene Matthews is a 9 year Breast Cancer Survivor and will have the largest African American team participating in the Komen Race for the Cure. Look for the PINK AFROs. At the Chapel of Peace, her goal is to ensure that all families of the deceased are happy and at ease with the way that their loved one looks for their services. Maurice Bush born in Columbus, Ohio attending Thomas Worthington High School and Northland High School. He grew up attending Higher Ground Always Abounding Assemblies and attends New Generation. He enjoys playing basketball in his spare time and spending time with his 8 year old son Marquise Bush. His parents Joyce and Eddie did a wonderful job raising a respectable young man who is the newest member of the Chapel of Peace staff.